INTRODUCTION: This website illustrates the beauty and philosophical content Victor Cusack is now bringing to this vitally different current work, virtually all now available and just being released. 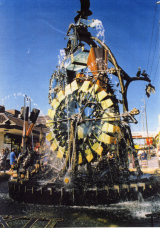 It also confirms his past reputation and history, which includes many painting and sculpture commissions, exhibitions, 16 public bronze sculptures (mostly large) in Australia, and two public bronze sculptures given by Australia as sister city gifts to Portsmouth and Edinburgh U.K. (see later details). The new work includes a diverse spectrum of large and small paintings, drawings, etchings and sculpture (some small current works, some public works). ARTISTS PHILOSOPHY: Victors work and subject matter is varied and philosophical, with much of it drawing strongly on Darwins theory of evolution and perhaps best described as EVOLUTIONIST. His more serious work connects man inseparably to nature; joined as a part of rather than superior to or separate from our beautiful worlds environment. 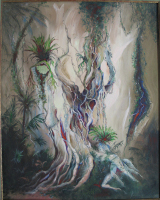 It reflects the artists huge admiration for the beauty of nature, rainforest, ocean and the human form; for the overwhelming power of nature and genetics. 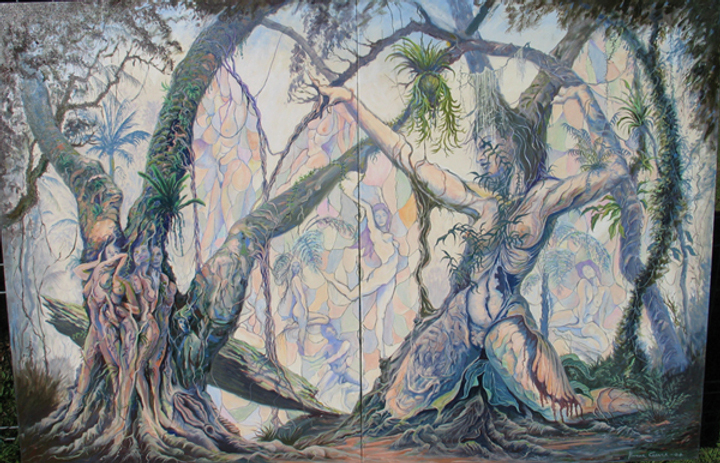 In different ways these current paintings explore the frailty of the human condition; our evolution and our connection to the continuum of all organic matter, that all humanity degrades into the same elemental compost as all other flora and fauna to again become recreated as part of new life forms, an inescapable spiritual rule of Nature. In effect, this is reflecting mans struggle to live with and rationalise his impact, belief systems and varied religious inventiveness on our planet Earth and fellow creatures. Victors treatment always searches for sensuous forms of beauty from within nature, with his love of humour and the female form often prominent. 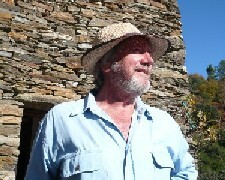 Sensuality, humour and acceptance of ones sexuality are woven as essential parts of a balanced nature through many of his paintings, often challenging societys current conservatism towards sensuality and nudism and the tendency to insist that social comment paintings must be ugly and violent rather than thoughtful and elegant. 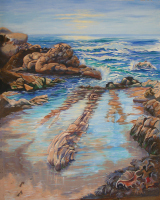 Click on Art & Painting Philosophy for additional insights and comment. Many of the works, both paintings and black and white ink drawings on canvas, are quite large (up to 1.5 sq M or 16 sq ft), with the largest public sculpture being 8 meters high and 21 tonnes weight (see "Media Specifications & Technology Notes" later).